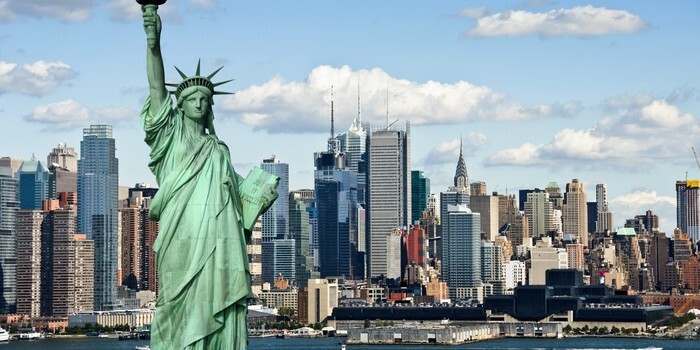 Long ago the Statue of Liberty was a gift from France to symbol friendship to the U.S and is recognized as a universal symbol of freedom and democracy. 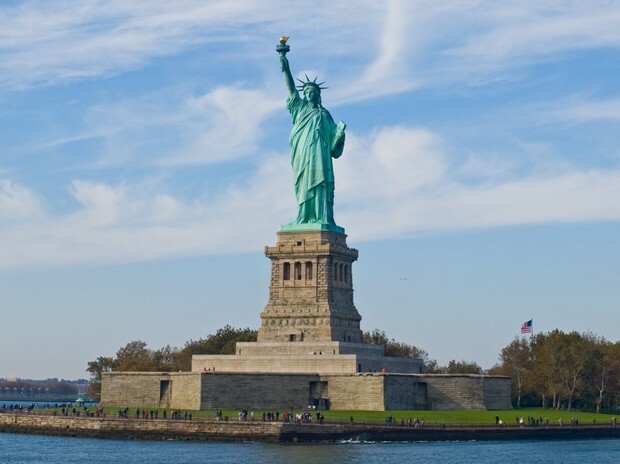 The Statue of Liberty was dedicated on October 28, 1886. It was designated as a National Monument in 1924. Employees of the National Park Service have been caring for the colossal copper statue since 1933. In 1865, a French political intellectual and anti-slavery activist named Edouard de Laboulaye proposed that a statue representing liberty be built for the United States. This monument would honor the United States' centennial of independence and the friendship with France. French sculptor Auguste Bartholdi supported Laboulaye's idea and in 1870 began designing the statue of "Liberty Enlightening the World." While Bartholdi was designing the Statue, he also took a trip to the United States in 1871. 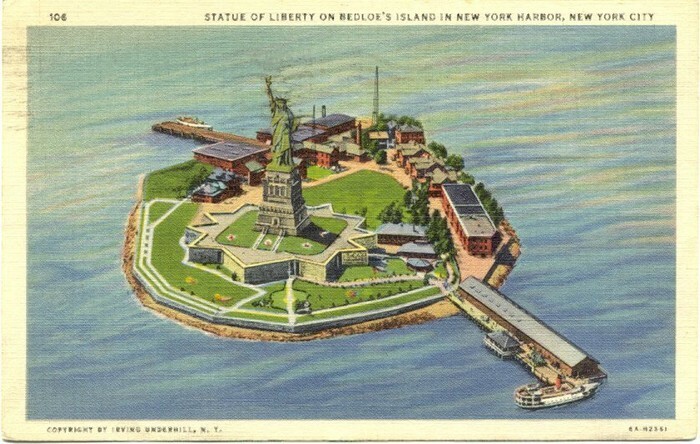 During the trip, Bartholdi selected Bedloe's Island as the site for the Statue. Although the island was small, it was visible to every ship entering New York Harbor, which Bartholdi viewed as the "gateway to America." In 1886, The Statue of Liberty was a symbol of democratic government and Enlightenment ideals as well as a celebration of the Union's victory in the American Civil War and the abolition of slavery. Edouard de Laboulaye, the French political thinker, U.S. Constitution expert, and abolitionist, who first proposed the idea of a great monument as a gift from France to the United States was a firm supporter of President Abraham Lincoln and his fight for abolition. Laboulaye saw abolition not only as a way to eliminate immorality, but also as a way to protest repressive tendencies in France. The Statue of Liberty is honored and appreciated beause it means peace and freedom. It also created a friendship between the U.S and France. The Statue represents many political and social ideals. 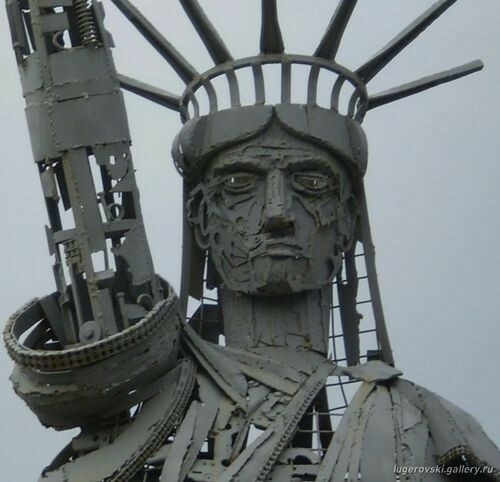 It is seen not only as a symbol of the United States, but as one of New York City. The Statue is a powerful symbol with many visitors each year and has inspired souvenirs, pictures, postcards, and keepsakes.